As a special one off to celebrate the completion of the recent development work at the Club, the 2019 Horsley Trophy will be played under floodlights! 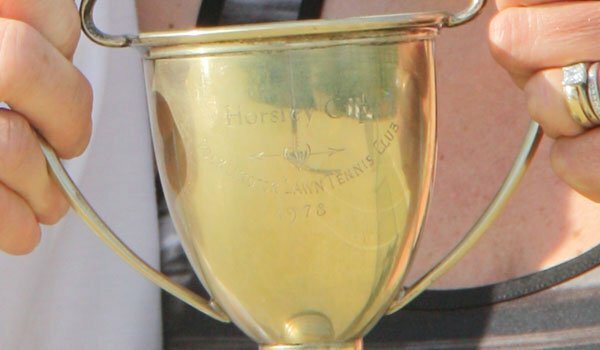 The Horsley Trophy is a friendly, mixed tournament but there’s no need to find a partner. You will play with and against various people during the evening, keeping your own score throughout (don’t worry – we’ll keep track so you don’t need to bring a calculator!). The tournament with culminate with a final played out by the two top scoring men and the two top scoring ladies. This event is for members only. Alongside the tournament, we’ll be carrying out the draw for our allocation of Wimbledon tickets – so if you are a paid up member ahead of the draw (deadline Sunday 21 April) and have already opted-in, keep your fingers crossed! If you would like any further information about the above please speak to a member of the committee or email pocklingtontennisclub@gmail.com.